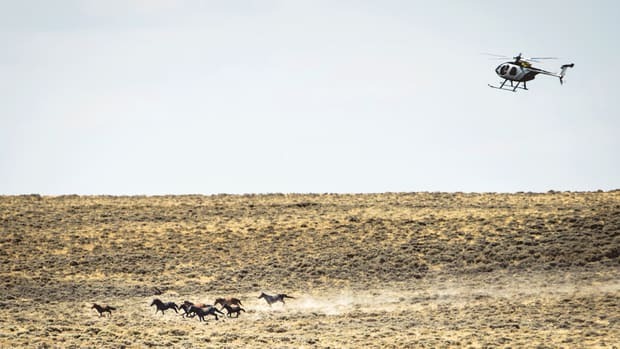 Twenty miles north of Reno, after casinos and strip malls yield to the high desert, the Bureau of Land Management holds 1,100 wild horses in a series of corrals. From the highway, the federal facility—the National Wild Horse and Burro Center at Palomino Valley—looks like a dusty feedlot, the kind of place you might smell before you see passing through some forlorn corner of Texas or Oklahoma. But walk down the hill from Route 445 and stand alone among the pens as the sun rises in late July, and you’ll find that the place smells fine, sort of earthy and clean. Instead, what concentrates the mind is something altogether unexpected: silence. Somehow, amid 1,100 wild animals held in confinement, the only sound I hear is the wind whistling across the plastic lid of my coffee cup. These horses and burros are a mere fraction of the roughly 45,000 kept in BLM holding facilities across the country. The primary reason they’re confined is the nearly 18,000 ranchers grazing an estimated 747,963 “animal units”—a bureaucratic term that can represent either a horse, a cow/calf pair, or five sheep—on 155 million acres of land. The horses might be silent, but lately these cattlemen have been quite loud indeed. These views might strike the average horse-lover as extreme. But the issue is complicated by the fact that we nurture two notions of freedom in this country, especially in the West. The first is the freedom to hit the road, to be left alone, to start anew—to be wild. The other is the freedom to acquire, to control, to commercialize—to be a self-made success. When these versions of freedom clash, as they do when wild horses and domestic cattle compete for natural resources, the result reminds us that one kind of freedom all too easily compromises the other. Staring into the moon-shaped eye of a twitching mustang, whose foal stands beside her in a small corral, I find it hard not to wonder if the trade-off is worth it. The arbiter in this conflict is the BLM. In 1971, Congress passed the Wild Free-Roaming Horses and Burros Act, placing the BLM in charge of protecting and managing wild horse herds on BLM land. At the time, there were 17,000 free-ranging mustangs to oversee, down from folklorist J. Frank Dobie’s estimated two million at the start of the 20th century. President Nixon, quoting Thoreau, believed wild horses reflected “the tonic of wildness” and, as such, needed to be kept safe on public lands. Because the BLM also issues grazing allotments to private ranchers and must manage the ecological health of those allotments while considering disparate factors such as drought conditions and mining interests, the agency is entrusted to balance wild horse and cattle populations on land where these animals overlap. The numbers, for their part, favor King’s assessment. A 15.8-to-one ratio of livestock animal units to wild horses on BLM land would hardly seem to justify the ranchers’ vitriol (even in regions where the ratio drops to 10-to-one). Consider the additional fact that BLM ranchers lease land from the government at a bargain-basement rate of $1.69 per “animal unit month” (AUM)—a reference to the forage allotted to an animal unit for one month. This fee stands well below market values, which range from $9 to $23 per AUM in 11 western states (with their average, according to the U.S. Department of Agriculture, being $18.20), and represents a huge public subsidy to a private industry that produces less than three percent of the nation’s beef. Taken together, the numbers suggest that all the purported horse troubles are really just a bad case of protesting too much. Plus, the BLM’s grip on rancher autonomy is light. Of all the public grazing land the BLM manages (155 million acres), wild horses are technically allowed to graze on only 17 percent of it. Horses tend to move within their Herd Management Areas, but if they range beyond they become fair game for a BLM round-up. 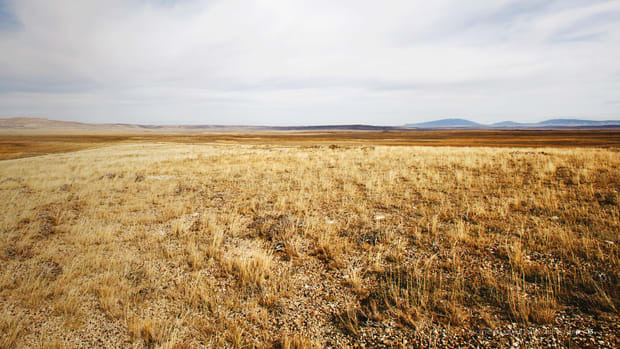 Within that 17 percent, moreover, only 23 percent of the forage is designated for wild horses. Point being: There are no designated wild horse habitats on the vast majority of the land leased to ranchers by the BLM. As far as the numbers go, most ranchers leasing public land from the BLM would seem to have little to complain about when it comes to wild horses. The life of a BLM cowboy appears to be relatively unhindered. Of course, numbers are only numbers. Beyond them are real ranchers with real interests in protecting their investments. 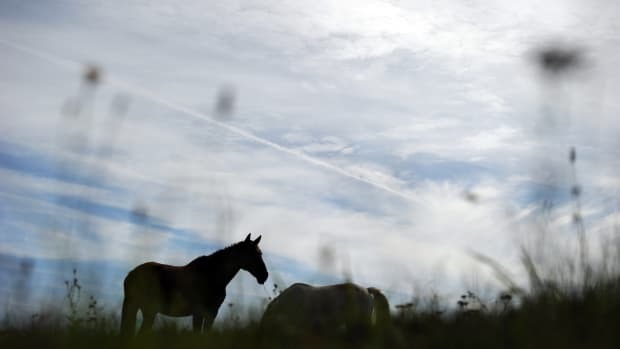 And with horses going where horses go, and cattle going where owners move them, and drought making the competition for forage as fierce as ever, these authentic pursuits of freedom inevitably clash. 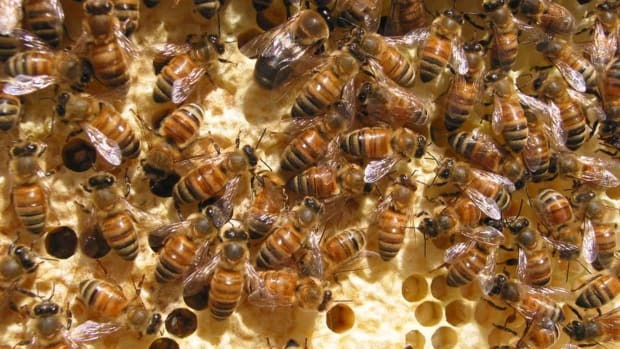 Even if those clashes are less frequent than the ranchers would have us think, they still hurt. “I’m just trying to maintain my cattle and the range grounds,” says Tammy Pearson, another Utah rancher. 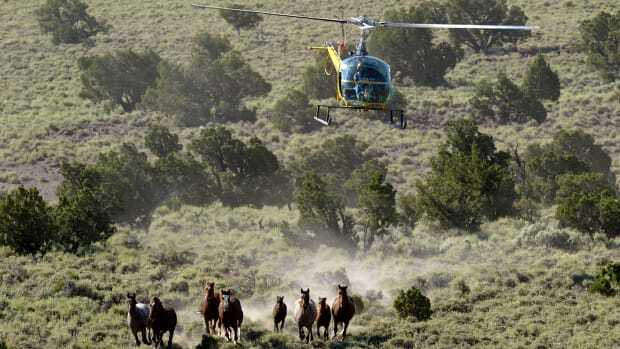 “We haven’t run full numbers of cattle for 30 years because of horses.” Pearson’s BLM-leased land is part of the 17 percent that overlaps with HMAs, but Pearson thinks that the BLM has allowed wild horse populations to swell to proportions she deems invasive. “We’re supposed to have 15 to 20 horses on our allotments but the BLM counted 200 in 2012, and we estimated 300,” Pearson says. The situation gives her the fantods. “We can’t rest our pastures with horses out there 365 days a year. 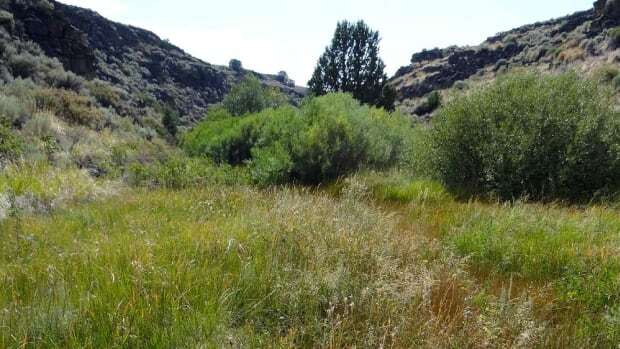 They’re doing irreparable damage to the pastures, and the BLM’s hands are tied by horse-advocacy groups and environmentalists.” Out of the 537 cattle that she owns, 300 are currently kept off the range for part of the time. For ranchers without wild horse problems, stories such as Yardley’s and Pearson’s leave an indelible impression. Will they, too, soon be under siege by an unruly herd of mustangs? Don Anderson, who grazes cattle on BLM land in western Utah, has seen only five or six horses on his property. But he’s not resting easy. “They collude,” says Debbie Coffey, referring to the BLM and public land ranchers, “and it’s all crooked.” Coffey, who is the vice president and director of wild horse affairs for the Wild Horse Freedom Federation, suggests that the numbers of horses and the nature of the damage they allegedly do are bald exaggerations calculated to motivate BLM wild horse removals. “We’re talking about remote places,” she says of the ranges where ranchers complain about invasive horses—always, many advocates claim, without providing photographic evidence of rangeland destruction. What’s difficult to escape when it comes to this latter-day range war is the elemental nature of the fight. Ranchers want to be free to operate without interference—be it from the government or wild animals. Wild horse advocates want to see mustangs live free of capture and harassment, unfettered by the strictures of commercial life. There are few indications that ranchers and wild horse advocates will find resolution anytime soon. But when the debate pauses, as it occasionally does, what you find is something more interesting than competing interests. You find competing myths. You find taxpayer-subsidized ranchers espousing a libertarian ethos. You find wild horse advocates espousing a Wild West “tonic” of animal liberation that may or may not be possible to achieve. And, finally, you find tens of thousands of wild horses stuck in limbo, awaiting a decision on which myth Americans want to accept as reality. They’d better be patient.